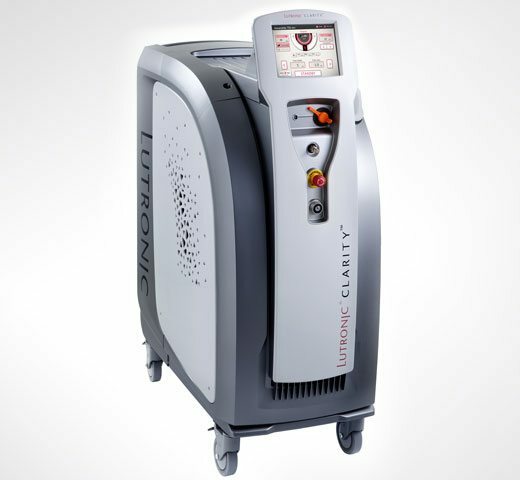 Clarity is an FDA-approved dual wavelength long-pulsed Nd:YAG/Alexandrite laser that we use for laser hair removal as well as treating vascular lesions. DLVSC is proud to have been the very first practice in the United States to offer this ultra-quick & effective laser! Everyone has a different tolerance for pain, but Clarity is generally considered to be pretty tolerable. With both vascular and laser hair removal treatments, certain areas are known to be more sensitive than others. Facial laser procedures may be briefly uncomfortable for some people, while others experience similar reactions to an incoming sneeze – eye watering, tingling sensations. Either way, these sensations are very short lived and disappear almost instantly. Laser hair removal with Clarity feels like a rubber band popping against the skin and is also very brief and completely tolerable for almost everyone – without any numbing at all. What are the side effects of Clarity? Any downtime? Generally, side effects from Clarity laser treatment are minimal. You may experience some redness or swelling of the treatment area in the first couple of hours post-treatment. However, these are both very tolerable and will resolve on their own. When treating vascular skin concerns, bruising is possible. This is due to specific treatment settings which are often needed in order to get the best results for you. You should have no trouble returning to your daily routine immediately after treatment. Due to the potential for bruising after vascular treatments (e.g.- red veins around the nose), it’s advised that you avoid scheduling this treatment right before any social events. When will I see results from Clarity? How long will they last? Laser hair removal with Clarity is done in a series of sessions. Further, the number of sessions depends on the color of your skin and the color & type of hair. Laser hair removal is, in fact, not permanent. However, after completing the series, you’ll only need annual or even bi-annual touch up visits to maintain your results. With vascular treatment, you’ll see improvements right away! It’s common for broken capillaries to disappear immediately, only to reappear later and then disappear again. It’s important to note that stronger vascular lesions may need more than one treatment to clear completely. Also, certain areas (e.g.- nose, chin & cheeks) are prone to developing veins as we age. So, new veins are just that…the ones removed with Clarity will not come back.